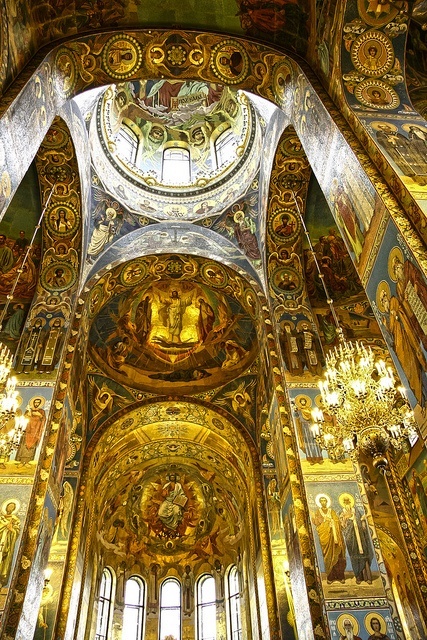 The Church of the Savior on Spilled Blood is one of the main sights of St. Petersburg, Russia. It is also variously called the Church on Spilt Blood and the Cathedral of the Resurrection of Christ its official name. "The preferred Russian name for this great church is Храм Спаса на Крови (Khram Spasa na Krovi), but each English-language tourist publication seems to list it under a different name. The moniker of "Spilled Blood" is most popular in preference to the likes of the Church of the Resurrection, Church of our Savior on the Blood, Cathedral of the Ascension, Resurrection of the Christ, or Assumption, Church of the Redeemer, or any permutation of the above."